Epcot marked its 35th anniversary on October 1st doing what it does best: looking to the future. Against the backdrop of its iconic Spaceship Earth, Disney’s theme park that celebrates human achievement hosted ceremonies that reflected on 35 years of creativity and innovation. More important, the ceremonies shined a spotlight on an exciting future of new experiences and attractions. Kalogridis was joined onstage by the patriotic Voices of Liberty ensemble and the Mariachi Cobre from the Mexico showcase – two acts that debuted when the theme park originally opened – as guests and cast members looked on. It was 35 years to the day – Oct. 1, 1982 – when Disney’s discovery park opened its doors as the second theme park on Disney property. 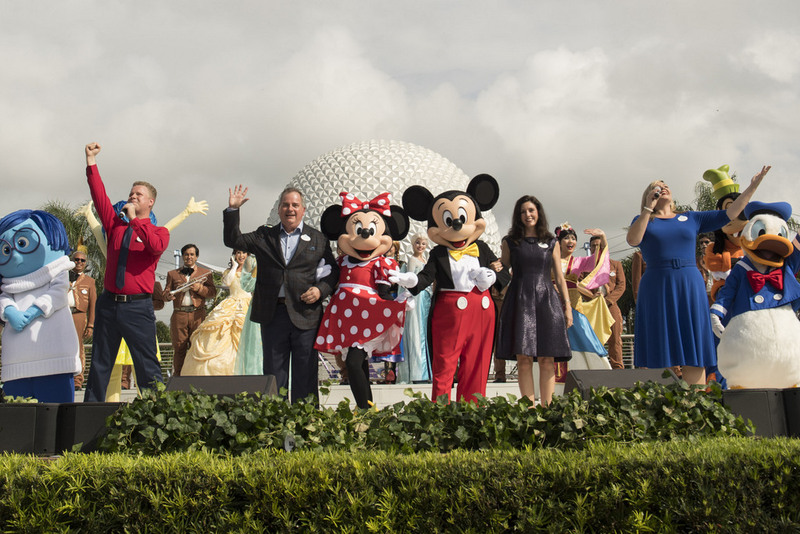 “Epcot has always been, and always will be, an optimistic celebration of the real world – brought to life through the magic of Disney,” he said. “I promise you the exciting plans we have on the horizon will honor Epcot’s rich legacy of creativity and innovation while continuing to exceed the expectations of our guests, for decades to come. Make your Walt Disney World vacation extra special with a Private VIP Tour! Click for more information. Already announced as part of the expansion are a new restaurant for the Mission: SPACE pavilion, inviting guests to travel high above Earth for an unforgettable dining experience; a Ratatouille-inspired attraction bowing in a new space in the France showcase; a new E-ticket Future World attraction based on the rockin’ world of Guardians of the Galaxy; an updated Circle-Vision film for the China showcase showcasing the country’s splendor and majesty. For the latest on Walt Disney World and other theme parks, attractions, dining venues and more across the region, be sure to follow Touring Central Florida on twitter @TourCentralFL & @androckb, and give our facebook page a like.